One of Nintendo’s worst kept secrets was finally confirmed today, as during the latest Nintendo Direct, Nintendo announced the production of the three new figures. 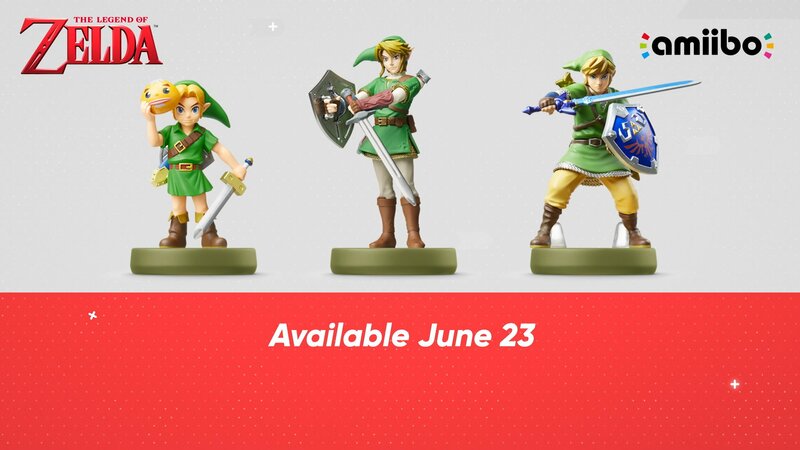 In addition to fiiinaly giving dates to the remaining Smash Bros. line of amiibo, Nintendo announced that the three new amiibo in the Legend of Zelda series would be available on June 23rd. The new amiibo is based on Link’s character art from The Legend of Zelda: Majora’s Mask, Twilight Princess, and Skyward Sword respectively. Not only will these figures look cool on your shelf, but as data miners uncovered not too long ago, they will unlock additional costumes and weapons in Breath of the Wild. What do you think of the new amiibo? Let us know in the comments below!